Super Nutrient | Take Charge of Your Health! Super Nutrient is created from whole plants which contain the nutritional ingredients needed to maintain or build health. Super Nutrient used at least one time every day will provide the body with every nutritional element needed to maintain health or achieve wellness. To make Super nutrient tasty while adding to its health benefits, make a smoothie by mixing it with coconut milk and fruit. Another option is to mix it with juice. Why Is It Necessary to Take Super Nutrient as a Food Supplement? For over 50 years, farmers have put fertilizers (with four main ingredients) on their land. The fruits and vegetables take over 30 nutrients out of the soil. Therefore the topsoil of our farm lands has been mined of all trace minerials, and our foods lack these trace elements. Not that most of us use whole food in our diets anyway, but even those who do should realize that foods cannot and do not contain nutrients that were not in the ground to begin with. A whole food supplement is essential for the prevention or treatment of any condition or complaint you may have, no matter how good your diet is. Super Nutrient produces energy by supplying every supplemental nutrient needed to build healthy cells. Provides great amounts of B vitamins to keep the nerves happy and help the body deal with everyday stresses. Supports the immune system by providing plant-based protein needed to create natural antibodies. Super Nutrient is beneficial for those who need energy, don’t eat healthy diets or generally lack a sense of well being. If you feel the need to overeat, or eat too often, it is a sign that your body still lacks nutrition and is asking for more. A good nutritional program will keep the body from developing genetic pre-dispositions. Inadequate nutrition and accumulated toxins cause disease. Super Nutrient Is a Superfood that Is Alive Rather than Dead! A “superfood” has 50+ trace minerals in it and is easily assimilated. Super Nutrient is a superfood. I feel instant energy when I take it. I (Mark Virkler) have taken this for over 10 years. I have studied healthy living for 19 years and Super Nutrient is on the top of my list. The body is not always deficient in nutrients as much as the body is unable to assimilate nutrients. Each nutrient consists of two parts: a physical molecule and a micro current that makes that molecule effective in the body. Molecules without current are about as effective as a light bulb without electricity. The bulb is there, but it is not going to work without current. Cooking and processing destroy the currents in food (and nutritional formulas), reducing or totally destroying the nutritional value. Most foods and supplements available in today’s market consist of molecules without current. Foods are picked green, agriculture is sprayed with chemicals and fertilizers, enzyme blockers are placed in foods so they won’t rot so quickly (which is bad since enzymes are what make the electric current) and finally the manufacturing process destroys what good might have been left. This makes the majority of today’s food and supplements of little or no value to the body. Super Nutrient has been imprinted with a very specific electromagnetic signature. All essential micro currents have been imprinted into this product.The micro currents make a certain percent of Super Nutrient instantly absorbed so trouble with digestion or assimilation is never a factor. This energy signature “recharges” the molecules of nutrition already in your body that may have become dormant or inactive because they did not have the current needed to be effective. Suggested Use: Take one scoop (included) in juice or water. Most people use Super Nutrient in the morning because it creates energy. It is completely safe to use it more than one time each day. Discover the Amazing Ingredients of Super Nutrient! We believe it is best to ingest nutrients that are in their natural, whole state, so you will not find specific vitamins, minerals or other nutrients out of their whole, herbal form in this formula. Each of the whole products mentioned below naturally contain all the vitamins and minerals you would find in a multi-supplement. Hawaiian Spirulina (Blue Green Algae) is believed by many nutritionists to be the most concentrated nutritious food in the world. The Hawaiian source is organic, pesticide-free and nutrient rich, having been nourished by the brilliant tropical sun and rich surrounding waters. It is the highest known natural source for complete protein at 75%. It also contains the highest concentration of Beta Carotene, Alpha Carotene and Lycophene (reported to suppress various forms of cancer) in the world. Chlorella (broken cell) is believed to be the second only to Spirulina in food nutrient quality. It provides an excellent balance and compliment to Spirulina. The cell walls are cracked (broken cell) so that it is more easily and rapidly digested and assimilated. Its nutrients begin entering the blood stream within 15 minutes or less after ingestion. Alfalfa Grass, Barley Grass and Wheat Grass are nature’s healing and detoxifying foods that provide an abundance of phytonutrients, minerals, fiber, trace elements, vitamins, minerals and chlorophyll. 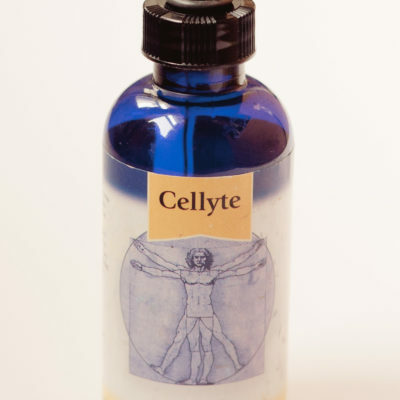 Together, these assist the body in healing, cleansing and optimum metabolic function. Beet Root, Fig, Gentian, Papaya, Pineapple and Spinach are nature’s assimilator aids. They assist in the digestion and assimilation of vital organic and inorganic elements required by all of the body’s metabolic processes. 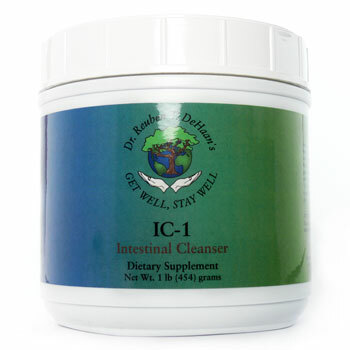 They are also excellent blood cleansers as well as enhancing and assisting the “grasses” in detoxification. Beet root, fig and spinach are all mineral rich and excellent organic sources of calcium, iron and vitamin K.
Lemon Peel, Orange Peel, and Rose Hips contain a balanced compliment of all the essential support substances required by Vitamin C. Together, they provide a complete Vitamin C complex of bioflavanoids, calcium, trace elements and phytonutrients all of which are necessary for Vitamin C assimilation and utilization. Additionally, lemon peel and orange peel are some of nature’s perfect sources for pectin, which has been proven to remove heavy metals such as mercury and lead as well as radiation from the body. Acidophillus (normal flora) is vital for a healthy colon environment, which is the last stage of assimilation for nutrients in the body. It also assists in strengthening immune system function as well as producing various vitamins such as B5 and B12, necessary for adequate energy levels (adrenal function). Adequate normal flora is required to keep pathogens such as harmful bacteria, virus and fungus from invading the body and disrupting health. Normal flora also assists in cleansing and keeping the colon clean, which ultimately reflects in a healthy complexion. Non-Active Saccharomyces Cerevisiae Nutritional Yeast is second only to spirulina in being nature’s highest source of complete protein (50%) as well as the richest source of B vitamins, which are necessary for energy and healthy nerve tissue and function. Our non-active yeast is one of the richest sources of RNA, which is vital for healthy replication of cells. Because the yeast is non-active, it is completely safe for anyone who is prone to candida or is trying to avoid yeast in the diet. VITAMINS & MINERALS include but are not limited to Beta Carotene (vitamin A), B1, B2, B3, B6, and B12. Complete complex of Vitamin C and related Bioflavanoids, Folic Acid, Pantothenic Acid, Biotin, Alpha Linoleic, DHA, Gamma Linoleic Acid, Essential Linoleic, Vitamin K, Pyroxidine, Niacin, Phosphorus, Iodine, Calcium, Magnesium, Zinc, Manganese, Copper, Iron and Chromium. TRACE MINERALS include but are not limited to Selenium, Germanium, Boron, Molybdenum, Silicon, Sulfur, and Vanadium. AMINO ACIDS include but are not limited to Arginine, Lycine, Alanine, Glutamic Acid, Ornithine, Tyrosine, Cystine, Methionine, Phenylalinine, Tryptophan, Histidine, Glycine, Threonine, Valine, Isoleucine, Leucine, Aspartic Acid, Serine, and Proline. OTHER NUTRIENTS include: RNA, DNA, CoQ10, Lycophene, SOD, Catalase, Alpha Carotene, Octaconosal, Glutathione Peroxidase, Cytochrome, Quercetin, Lecithin, and Chlorophyll. 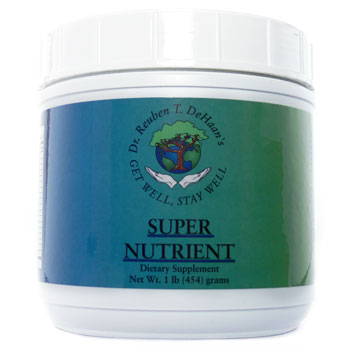 Every nutrient required for every action and function of the body is supplied in Super Nutrient. If you did not find a nutrient in the list provided above, it is nonessential, meaning the body makes it from one or more of the ones listed. DISCLAIMER: This BLOG’s purpose is to promote the sharing of information about healthy living and dietary supplements. The views and opinions of Mark Virkler and those of his companies and BLOG administrators are offered for your information and are not intended to constitute medical advice. If you are sick, injured or pregnant, consult a licensed medical professional.